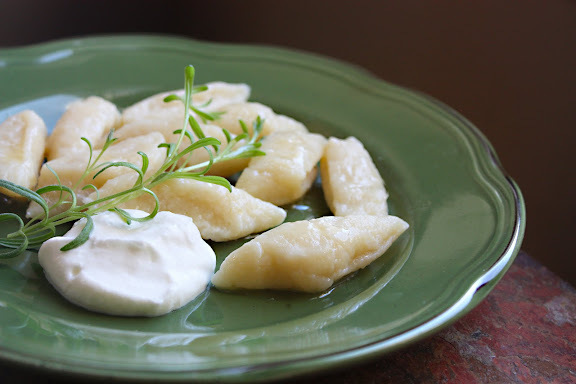 Remember my Ukrainian “cooking coach,” Valya, who taught me how to make vareniki (pierogi) the way her mother does? Whenever I get together with Valya and her entire family, it’s always a huge varenik fest. There are always more than enough vareniki with 4-5 kinds of filling for everybody, and you get to sample different types. Making and eating vareniki with my Ukrainian friends has always been such a fun activity. The fact that Bubba’s (Valya’s mother) vareniki are the best I’ve ever had — and I’ve had eaten lots throughout Eastern Europe — makes the experience even more memorable. But making vareniki for myself at home is a bit of a letdown sometimes even with Bubba’s recipes. The problem is that when you don’t have a bunch of people to share them with, making a lot of vareniki with various fillings and toppings is impractical and labor-intensive at best and ill-advised at worst. It’s also wasteful as I can never eat more then 10 vareniki in one sitting and would always end up with leftovers that just don’t taste as good the next day. I mentioned this to Valya, and she introduced me to the so-called “Lazy Vareniki” (Lenivye Vareniki – ленивые вареники) which is another type of dumpling in the repertoire of Eastern European cuisine. They’re like Italian gnocchi, for lack of a better or less Western-Euro-centric way of describing it. They’re very easy and requires only about 20 minutes, from start to finish, to make; hence the name. 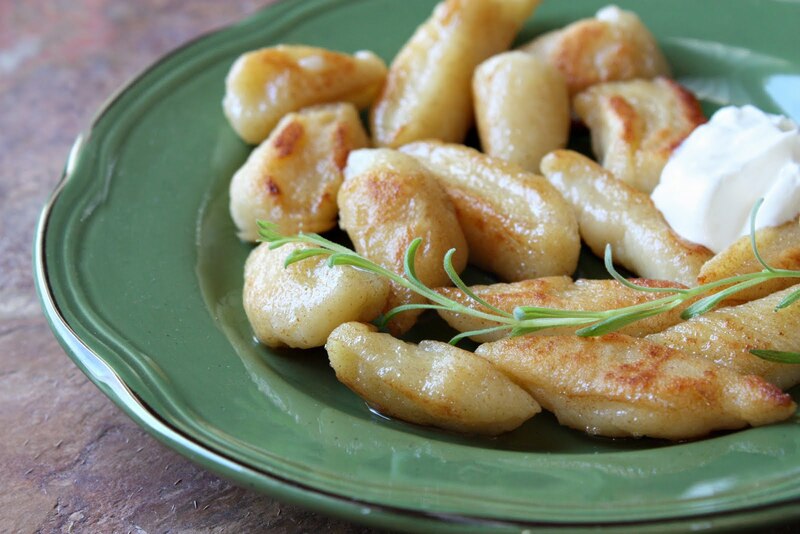 When I say that these lazy vareniki are similar to gnocchi, those of you who are familiar with the Italian unfilled cheese or potato dumplings must already know that the method of preparation of lenivye vareniki is the same as that of gnocchi. That is quite correct. Most traditional recipes call for all-purpose flour, but I find the combination of 50% all-purpose and 50% cake flour result in lighter, less chewy dumplings which I prefer. 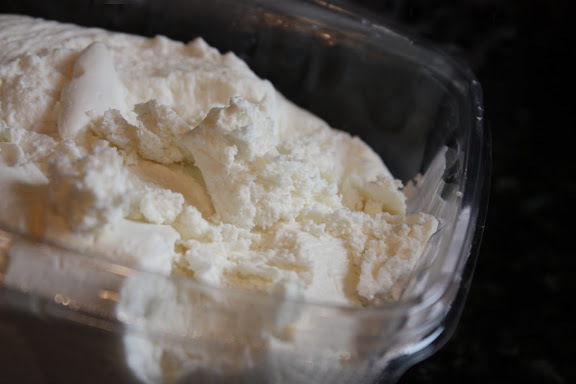 If you can’t find the Russian farmers’ cheese, tvorog (творог), you can use ricotta cheese or quark. Some people use well-drained small-curd cottage cheese, but I don’t like how the dumplings turn out with cottage cheese. Lenivye vareniki can be both sweet and savory depending on what you serve them with. For sweet lenivye vareniki, I add a couple of tablespoons of sugar into the dough. For savory ones, I don’t. You can serve sweet lenivye vareniki with different kinds of fruit compote or simply sour cream (or crème fraîche or — if you can find it — Russian-style sour cream, smetana). Regardless, the vareniki need to be liberally buttered. Woo hoo. Savory add-ins can be crisped bacon bits with some bacon drippings or crisped salobits and drippings as well as some rinsed and well-drained sauerkraut as they do in Valya’s household. Do what you like. You can also brown and crisp up the outside of the dumplings by pan-frying them in butter briefly over medium heat. In fact, I prefer them that way. Don’t make too many hoping to have leftovers for later. In my opinion, these dumplings are best when they’re freshly made. Whisk together the egg, cheese, sugar, and salt together in a mixing bowl just until homogeneous. Stir in the flours and mix lightly with a wooden spoon. Use your hands, if you feel you have more control that way. Sometimes, the specified amount of flour is enough to form a ball of dough. Sometimes, you need to add more. If the dough is too sticky, add one tablespoon of each flour into it just until you can form a ball. No need to knead it as if you’re making pasta or bread dough. In fact, the less you mix the dough, the lighter your dumplings will be. The dough is not supposed to be elastic and super smooth. 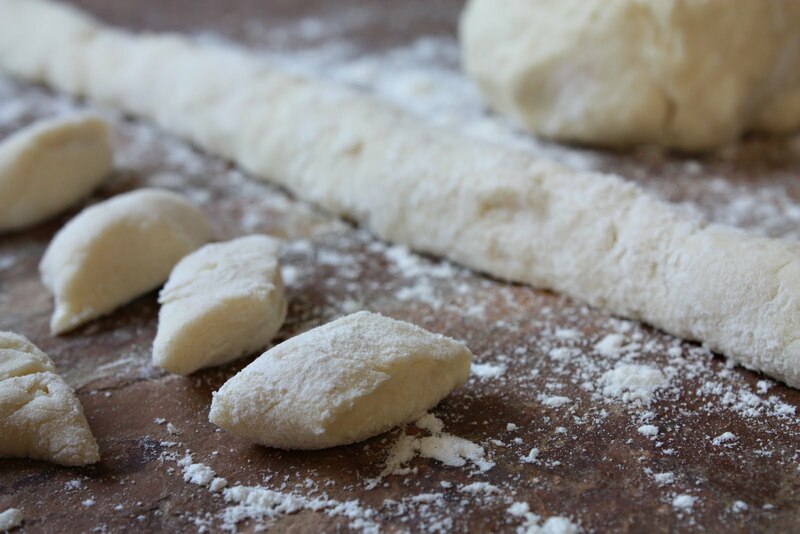 If the exterior of the dough ball is still a tad sticky, dust your counter top with just enough flour to allow you to shape and cut the dough; nothing more. Boil lots of water in a large pot. You’re cooking these dumplings pasta-style. Divide the dough ball into quarters. Roll each quarter into a ¼-inch thick rope. Cut each rope into ½-inch pieces on the diagonal. Put 2 tablespoons of butter in a bowl; set aside. When the water comes to a full boil, gently drop the dumplings in. Let them cook undisturbed. Within a couple of minutes, they’ll float to the top at which point, scoop them out with a slotted spoon and place them in a colander. Rinse them very briefly with cold water. This helps rinse off some residual starch which makes them stick together. Immediately put the rinsed dumplings, which are still warm, into the butter bowl. Swirl the dumplings around. The residual heat in the dumplings will melt the butter and the swirling helps ensure that each dumpling is coated with the melted butter. The dumplings are now ready to serve with your choice of add-ins. I think most supermarkets, at least on the east coast have Friendship Farmer Cheese in the dairy section. I’ve been wanting to make these forever BUT my son is allergic to eggs. Would you suggest I try to make these with egg substitute. And any ideas on which egg substitute to use? MIka – Hmm. The only eggless dumplings of this kind I’ve had are a type of potato gnocchi. I’m not quite fond of them, although I can see how others would like them, I’ve heard that a mixture of ground flax seeds and some water makes for a good egg substitute in baked goods. Not sure if it would work here. But worth a try, eh? Oh wow, I’ve never heard of these. The ingredients and the preparation mode almost remind me of part of the stuffing my grandpa puts inside birds. Kind of like a mix of everything that’s good! I am so far behind on my reading of your posts, and I do not think of that necessarily as a bad thing as I have something to look forward to. These dumplings look just amazing. Living in a Russian section of San Francisco I’ve seen variations, but the thought of making my own fills me with delight. Cannot wait to catch up on what else I’ve been missing. I made these twice now. I used an egg-substitute and it worked perfectly! thank you so much for the recipe. My son and my daughter make them together. I will soon blog them on my site (http://www.cuceesprouts.com) THANK YOU SOOOOO MUCH!!!!! Quite tasty 🙂 Made them for dinner tonight; from taking out the ingredients to putting them on the table was only 30 minutes, maybe a little less! I like that you can mess with the recipe a bit; I added bacon bits and used the ricotta cheese. Cleanup is easy, just one mix bowl, the pot of water, and the measuring things. This recipe will be used on a regular basis!